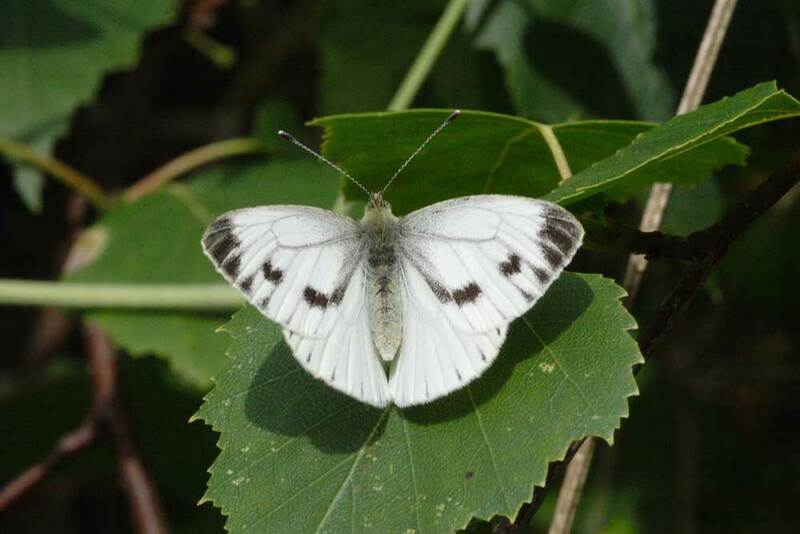 Similar to the Green-veined White, the underside vein markings are less pronounced on the Small White. The black mark at the apex of the upperwing is unbroken. Mid-March to Mid-October in two or more broods.